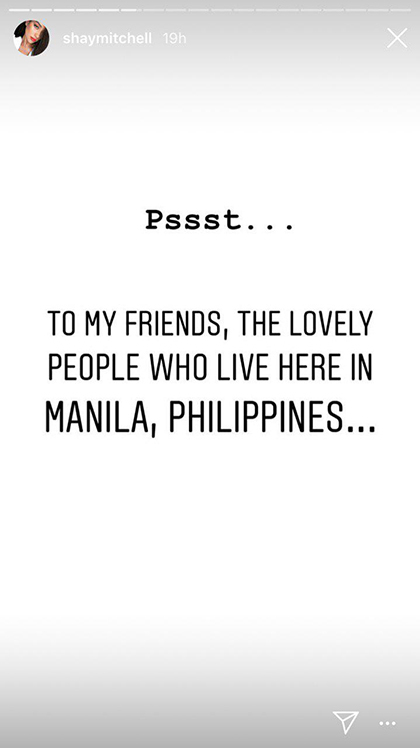 It's been all over our feed these past few days that Netflix's You stars Shay Mitchell and Penn Badgley flew into the country for their press tour. 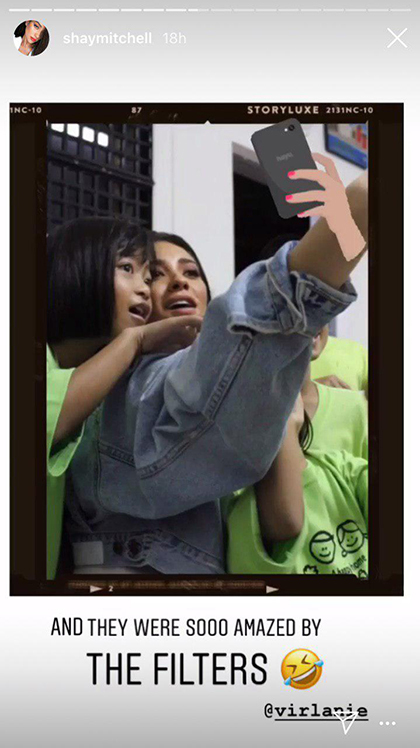 And while the Fil-Canadian actress has been hopping from one press event to the next, she actually used her downtime to do some charitable work. 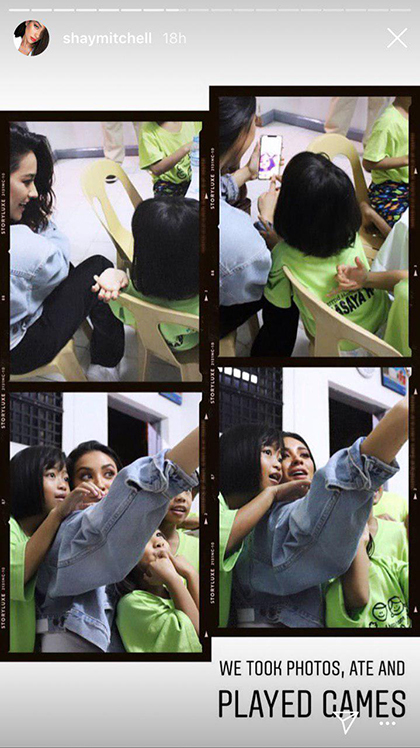 On Instagram Stories yesterday, Shay shared that she spent her Monday night visiting the children of the Virlanie Foundation, a child caring institution located in Makati. 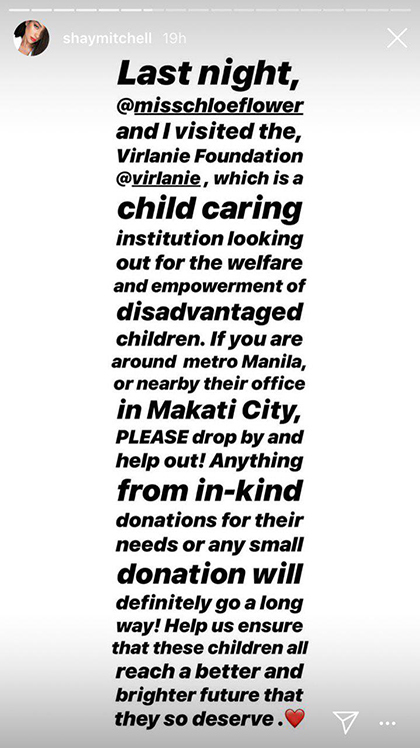 According to its official website, Virlanie has programs and services for "children in need of special protection—those who are among the poorest of the poor, the abandoned, abused, exploited, neglected, and orphaned." 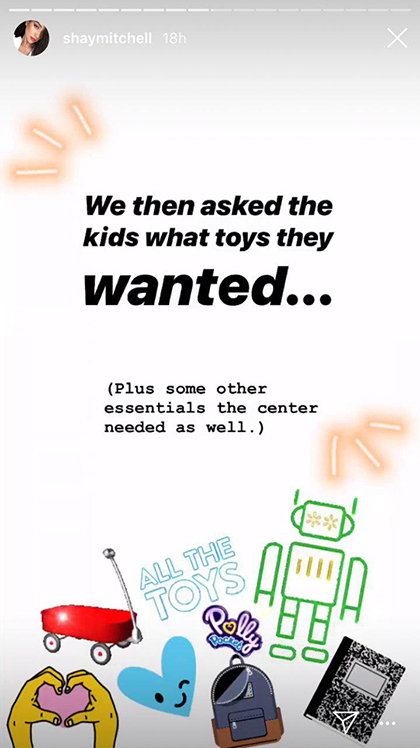 Shay asked her followers to help out the kids by writing, "PLEASE drop by and help out! Anything from in-kind donations for their needs or any small donation will definitely go a long way! Help us ensure that these children all reach a better and brighter future that they so deserve." "We took photos, ate, and played games." "And they were sooo amazed by the filters." 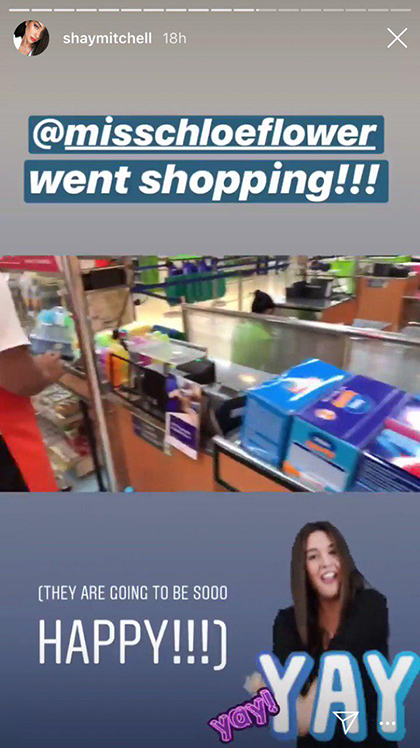 She also shared that while she was busy doing the press rounds, her friend Chloe Flower, who came along with her in the trip, went shopping to buy the kids toys and essentials needed by the children and the institution. This, in all honesty, makes us love Shay even more.